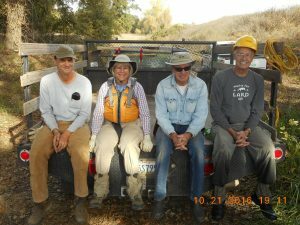 Welcome to the Habitat Restoration Team’s 2018 season. If you’re a first timer, don’t worry about not knowing what to do. 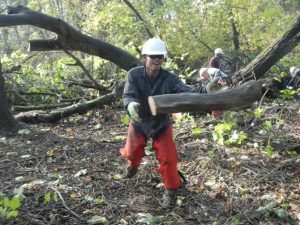 We have plenty of instructions and lots of experienced volunteers to guide you. The man in the middle of photo number one, Marcos, joined The Preserve when he was old enough to walk and the two guys beside him have both been with the preserve for 20 years or so. 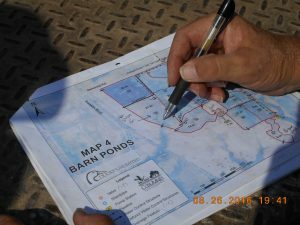 You won’t have to work alone and will probably meet someone your own age and; will definitely see parts of The Preserve not open to the general public. Wild places, beautiful places, and significant habitat from five or ten different ecosystems just waiting to be restored and expanded. 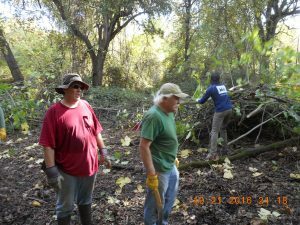 This activity is open to volunteers 18 years of age or older only. 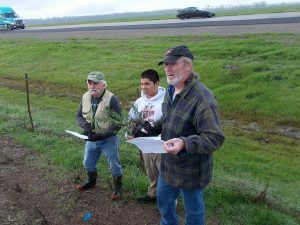 *Habitat Restoration Workdays meet at 9:00 a.m. at the Preserve’s barn located at 6500 Desmond Road, Galt, CA, 95632. After some introductions everybody will be leaving the barn promptly at 9:30 a.m. to begin the workday. 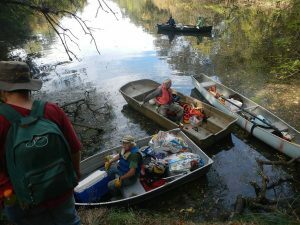 *Habitat Restoration Workdays typically end by 3:30 p.m.
reusable water bottle, lunch and snacks. 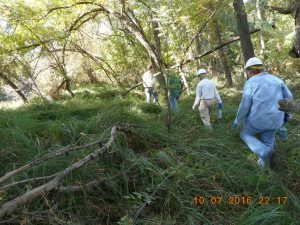 *Below are photos of past HRT Workdays, we hope to see you at our next workday!